The conflict in eastern Ukraine has dealt a particularly heavy blow to its economic relationship with Russia. Much of Ukraine’s industrial production was taken offline …. The country lost a sizable share of its exports … [and] GDP saw a double-digit contraction. Kiev… [the EU] and [the] United States, slapped Russia with sanctions … [over] Crimea and Donbas; Moscow responded in kind …. the Ukrainian government began to draw down … imports of Russian natural gas in response to a pricing dispute … looking for new energy partners … it began importing reverse-flow natural gas supplies from neighboring EU states such as Poland, Hungary and Slovakia. (… [which] still technically originated from Russia … [but not] subject to the same contractual conditions ….) By … 2016, Ukraine had halted all … natural gas imports from [Russia]. … these moves have cut deeply into cross-border trade …. * * * By all appearances, the Ukrainian and Russian economies seem certain to keep drifting apart …. 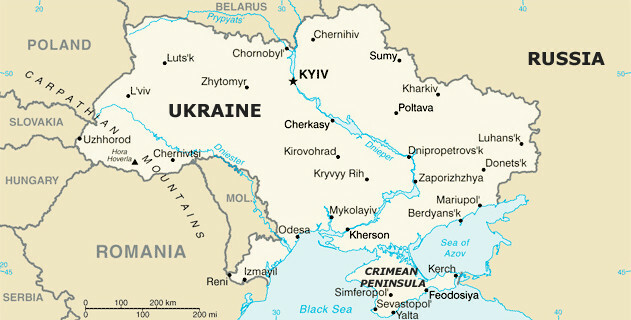 Ukraine will look to other markets, especially Europe, for new export destinations and energy supplies.